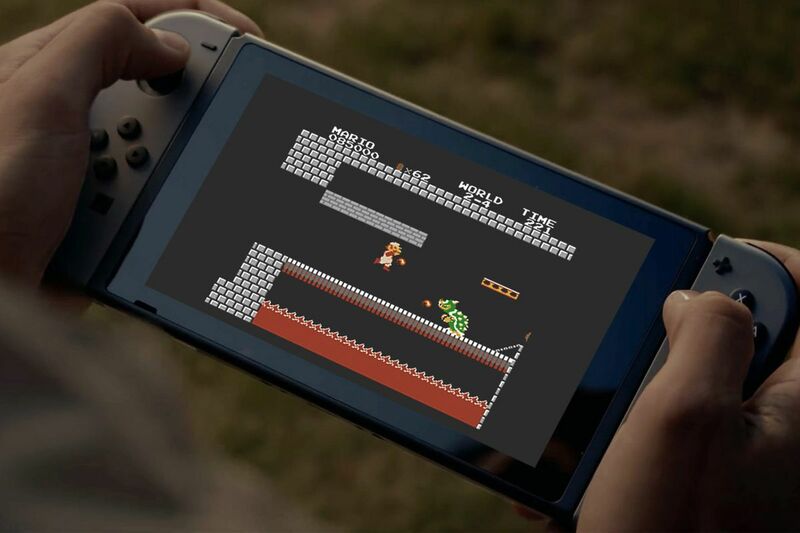 Seems that classic game emulation was part of the fundamental design of the Nintendo Switch. If Nintendo does one thing well, it's capitalize on nostalgia -- the company has banked tremendous profits from games based around classic Nintendo IP, and they've become well-known for providing players with a means through which they can enjoy (read: purchase) all of their favorite old-school titles for their latest modern consoles. Things are a little different with the Nintendo Switch, though. Not only has Big N provided almost no information regarding traditional Virtual Console support, they've only recently confirmed that Switch players will be able to enjoy classic games through the upcoming Nintendo Online service. With that information in mind, players knew that the system was capable of playing classic Nintendo games -- they just didn't know exactly how. Well, that's changed. Hackers and other tech enthusiasts have had a few months to dig around in the Switch's hardware and software, and these types have recently discovered an interesting piece of code hidden within the Switch's firmware. Called "Flog," the software looks to be a basic but fully-functioning Nintendo Entertainment System emulator, and it's very likely that this program will be the means with which players will be able to enjoy upcoming Nintendo Online titles. Also, since emulation appears to be the primary means through which the Switch can play older titles, it may be that other emulators will be added to the system in the future. Particularly with the upcoming launch of Nintendo Online, players will be nothing short of thrilled to see support for SNES and N64 titles on the Nintendo Switch. What Does Flog Mean For Future Virtual Console Support? Nintendo Switch players have been given essentially zero information regarding the system's potential Virtual Console support, and for now, it appears that nothing has changed on that front. The Switch will be able to play NES games through the Flog emulator, and it's possible that Nintendo can add more emulators down the line. Interestingly, if Nintendo can get a suite of emulation software running on the Nintendo Switch, it's technically possible that they can begin porting over their huge backlog of Virtual Console titles. However, if history serves as any indication, it's likely that Nintendo will once again charge players for the option to re-buy their old-school favorites for a second, third, or even fifth time. It's sad news, but that's just how it's worked so far. Fortunately, the Switch appears to be Nintendo's effort to bring the company more in-line with modern expectations, and if they do eventually release Virtual Console titles for the Switch, chances are good that they'll strongly consider the option for players to keep those Virtual Console titles forevermore. The Switch might not have Virtual Console support, but the 3DS does. It also has some of the best games available for any portable system, and we've collected some of our favorite titles over on our list of the Best Nintendo 3DS Games.